A small set containing fuse beads, pegboards, ironing paper and a pair of plastic tweezers. 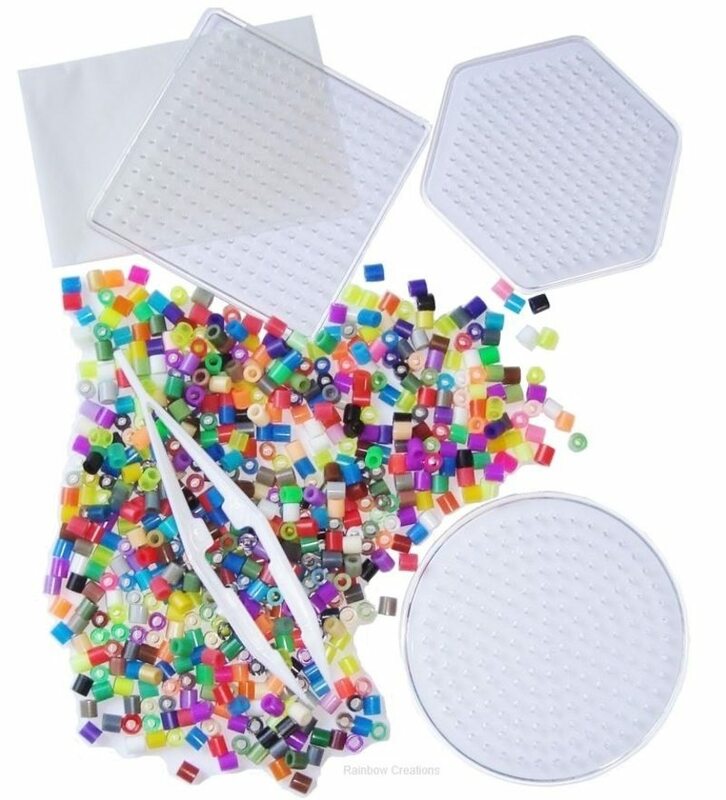 This is all that is needed to get started making beaded patterns. 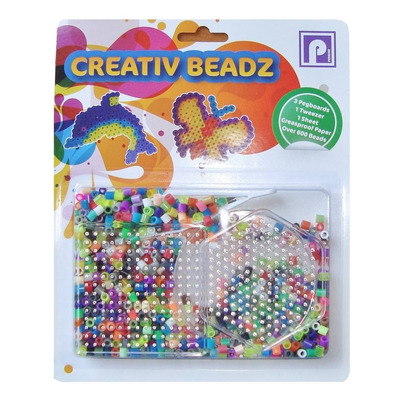 Once designed, just melt the beads on the board under a hot iron using the paper provided to protect them and stop them sticking to the iron. The beads will then melt together. 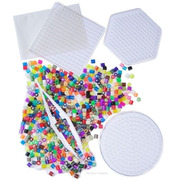 Contents include assorted coloured fuse beads, 3 small boards - a square, hexagon and a circle. Suitable for a small gift at a party or for use a children's craft party. Adult supervision required. Suitable for children over 5 years old.